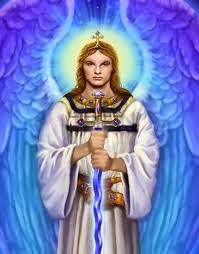 Beloved masters, many of you feel as if you are in the final stretch of a long, difficult race and your energy and enthusiasm are lagging. You are growing more and more disenchanted with the glamour of your worldly existence, and the things that used to excite you seem somewhat tarnished and dull. It is because you are shifting in and out of two vastly different realities or several dimensions at once. Also, your four lower bodily systems (physical, mental, emotional, and Etheric), are trying to adjust to and catch up with, the many Facets your Higher Self, which you are integrating on an accelerated, regular basis. This has put much stress and strain on your earthly vessel. A vast number of you have and are preparing to make a quantum leap into a Fifth-Dimensional consciousness, whereby your old world State-of-Being is falling away much faster than you can integrate the refined energies/vibrations and concepts of your new, higher frequency existence. As you become aware of what is taking place, you will not be so stressed out and confused. Please believe us when we say, “Relief is at hand.” One of our greatest desires is to assist you in the process so that your transition can be accomplished with ease and grace. Over these many past years, much of the information, meditations, and exercises we have given you have been focused on transmuting old negative energy patterns, and also on expanding and refining your conscious awareness. This process is necessary in order to make way for the infiltration and integration of the rarified cells of Creator Light—the higher frequency, powerful new Rays of Individualized Expression, which are radiating forth from the rarified realms of the Supreme Creator. We offer you a variety of higher truths to assist you in the evolutionary process, which is now in full force, during these unprecedented times. Some of these advanced teachings have been given previously, but they are important enough to repeat. We suggest that you focus on one or two concepts each day so that you may ingrain them firmly within your consciousness until they become a part of your new SPIRITUAL PHILOSOPHY FOR SELF-MASTERY. * You are learning to live in an ascended state of consciousness as you gradually unite with the remaining Facets of your higher Fourth-Dimensional Soul Self. You are moving out of a state of becoming into a STATE OF BEING, which means you are learning to live in the NOW moment of your “God Power.” As you develop clear-seeing and pure intention, the fog of illusion will no longer affect you. You are beginning to mold and create your greatest visions and desires from the storehouse of Divine Seed thoughts of un-manifested potential, as you slowly refine your co-creative abilities. 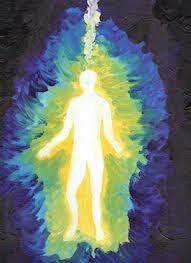 You are gradually evolving into a unified, radiant SPIRITUAL BEING IN HUMAN FORM—a SOUL-INFUSED PERSONALITY. * Self-mastery is a never-ending process as you learn to integrate more and more of the virtues, qualities and attributes of our Father/Mother God. It takes constant vigilance and practice; however, the rewards are immeasurable. * It is time for you to remember why you are on Earth. Remember, you are an extension or a Facet of our Father/Mother God, who in turn, are greater Facets of the Supreme Creator. Embrace the excitement of your new reality as you create greater and greater harmony within your personal world. Endeavor to take full advantage of your newly harmonized and elevated reality—savor all of the sensations and rewarding experiences the Earth plane has to offer, while also enjoying the beauty, wonder and magic of the higher realms. * Light, sound and color are the modalities of healing, and they are requisite tools to assist you in expanding your consciousness, and in refining your personal reality. A spiritually-focused student/initiate on the Path to higher awareness must learn to use some of the major tools of Self-mastery, for they are a part of your Divinity and your birthright. Toning and learning to use Sacred sounds and mantras will aid you in rectifying many of the symptoms of distress or illness that you are currently experiencing, for they will assist you to gradually transform your etheric, emotional and mental bodies into a more harmonious state of Being. * Each of you has the ability to contribute something personal and unique to the Divine Blueprint, which has been designed for the future of humanity and the Earth. You have been given an extraordinary gift by our Mother/Father God—the Divine privilege of participating in the creation of your own destiny. Each of you has the potential of becoming a glorified mortal. You are becoming Spirit-infused mortals, which assures your ever-expanding, immortal status. You are multifaceted, and you have consciousness on many more levels than you can comprehend at this time. You are an Immortal Soul with a mortal mind and body. You are in a process of Soul-expansion, whereby you are gaining the ability to integrate higher and higher Light frequency infusions. * There is cosmic time that is fluid and malleable, and there is mortal time that is linear, structured and event-oriented. You are learning to live as Spiritual Mortals who can access the fluidity and magnificence of the Cosmos. There are schools of Cosmic Philosophy where you have studied, and which you will be able to tap into once again as you gain the ability to traverse the higher realms of expression. * There are Destiny Guardians to guide you and show you the way. Ask for their assistance and they will become your devoted servants. The Beings of Light represent many differing viewpoints, and they have had many diverse personal experiences, just as mortals have. * True spirituality does not demand particular rituals or rigid beliefs; it is a mode of living your highest truth with wholehearted devotion. You are to seek a blending of your highest intellectual, emotional and Spiritual Philosophy of life. * You are a Spark of the Divine, and you should honor and place high value upon yourself and others. You are dishonoring our Father/Mother God when you do not. You should always seek liberty and truth for yourself and for others as well. * How will you know when you have moved into a State of Grace? You will know when others reflect the beauty of your Soul back to you. You will know when your abundance begins to flow. You will know when your heart expands with love for all Creation, and when your Soul Song reverberates throughout your Being, and out into the world and the higher realms. You will know when you cannot keep quiet, and you are compelled to share your joyous experiences with anyone who is willing to listen. And, you will know when it is appropriate to be a silent witness. * Meditate daily and nightly, better yet, become a living meditation so that every waking moment is focused on the highest purpose for all. Then bring your love and power together to create the meridians of Light and focused energy, so that your strength is circulating throughout your physical vessel, and then radiating forth from your Solar Power center, upwards into the heavens, outward to all humanity, and downward to the center of your Mother Earth. * You are to assume the lofty outlook of the masters: calmly, gently, lovingly standing by, observing, helping when possible, but allowing, not judging, for you know all that is happening is for a reason, and everything that occurs has a higher purpose. * Spread your loving Light and presence as far and wide as possible, dear ones. Counsel those who are led to you. By your actions you will be known, and those who have need of your Light and wisdom will be drawn to you. Never forget, you are eternal and immortal. Your physical body is a temporary temple in which a Divine Facet of God dwells. The Sacred Heart is the temple of the Soul. Therein is the Essence of Life where true Love resides, and where your awareness of Infinity begins. The Diamond Core God Cell within the Sacred Heart contains the Twelve Rays of God Consciousness for this Sub-Universal experience. These Sparks of Divinity are powerful WHITE FIRE GOD-SEED ATOMS—etheric crystal prisms of refracted Light called RAYS—which continually beam forth the Life/Love Essence of our Mother/Father God throughout this Sub-Universe. In order to manifest your dreams, your vision, and to create your personal paradise, you must be ever alert for and strive to attune to the whispers of your Soul and Higher Self. This is accomplished by tapping into the frequencies of your OverSoul/Higher Self, and becoming aware of your greatest potential. Self-mastery is the power to control your life and destiny, and the wisdom to use it for the highest good of all. As you do so, it is vitally important that you stay firmly grounded and balanced within the accepted range of duality while functioning within the reality of the Third-/Lower Fourth-Dimensional reality. You must also strive to establish emotional harmony and serenity within the illusionary world of the higher Fourth Dimension as you endeavor to become acclimated to the mental plane of the Lower Fifth-Dimensional environment. Your transformation into Self-mastery, as well as the Ascension process, will be greatly accelerated once you have expanded your personal Lifeline of God Light—an etheric tube of Light—which is your primary connection to your God Seed Atom/ I AM Presence. You are also in the process of reestablishing your connection to the River of Life via your personal Antakarana (Rainbow Bridge of Light), which contains the Creator Essence called Adamantine Particles of Creator Light. Over the many past ages, humanity has diminished the connection to the River of Life/Light so that, in most people, it has become only a small trickle, which was called the “SILVER CORD” by the ancients. Each of you has a sphere of radiance around your physical form that is produced by the vibrational patterns within your Auric Field and your Cosmic Soul Song. Ascension means bringing the total bodily chakra system into balance, which will facilitate the clearing, refining and balancing of the Etheric Body/Auric Field. 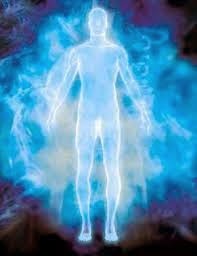 An important part of your Ascension goal is to focus on the process of returning your Etheric Body and Auric Field to their original Divine Blueprint, which is the human blueprint for your original bodily form called the Adam/Eve Kadmon Light Body. We observe you via the bands of color within your multiple body system, physical, mental, emotional and Etheric, which have been created by your thoughts, actions and deeds throughout your many lifetimes down through the ages. Dear hearts, we ask you to nurture yourselves, to pay attention as never before to your physical vessels and the signals or messages your wise body Elemental projects to you. How will you enjoy the beautiful world of love, joy and abundance you are creating if your precious physical vessel is not vibrant and healthy? Join us in your Pyramid of Light, my brave ones, and allow us assist you to move through the process with ease, grace and great joy. May the radiance of our Father/Mother God pour down upon you and fill you with the Light of Life Everlasting. Know that we are ever near to guide and protect you.